Kellogg Community College students will attempt to kill with laughter in a completely student-led production of the noir comedy “Kill Me, Deadly” this month in Battle Creek. KCC’s Encore Theatre Company will present the play at 7:30 p.m. Thursday and Friday, April 25 and 26, and at 2:30 p.m. Saturday, April 27. 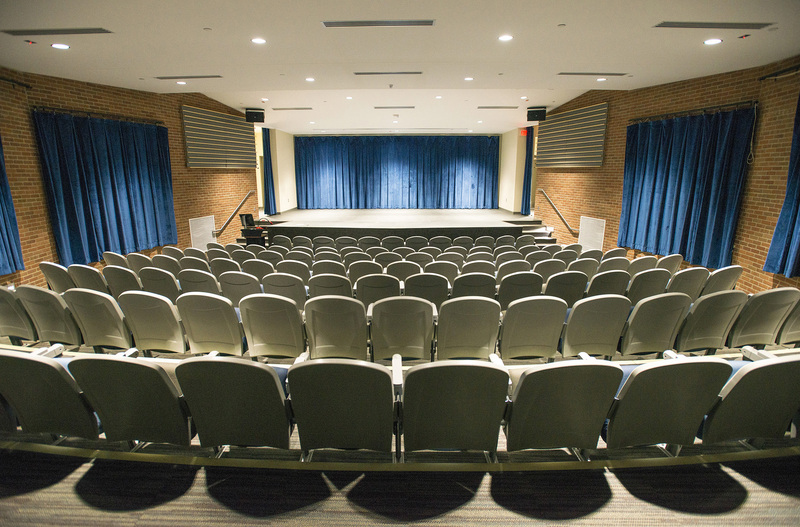 All showings will be held in the auditorium of the Davidson Visual and Performing Arts Center, on campus at 450 North Ave. Admission is $5, cash only, at the door. The comedic mystery set in 1947 Hollywood follows detective Charlie Nickels and his secretary Ida as they investigate the murder of a client, pursuing a colorful cast of suspects including Mona, the femme fatale. The play is directed by student Drea Smith and produced by students Seth Allred and Cacey Hirleman, with music direction by student Abby Boyer. KCC’s Encore Theatre Company is open to all students interested in developing theatrical experiences on and off campus. The goal of the company is to entertain and educate audiences, explore theater and expose drama to all age groups. Students are encouraged to offer their support and talents to the community. For more information about the Encore Theatre Company or their production of “Kill Me, Deadly,” contact KCC Theatre professor Brad Poer, who advises the group, at poerb@kellogg.edu.